For the final, most pleasurable, part of the coffeemaker?s ritual: a set of four espresso cups, engineered to be elegantly stackable, easily storable and beautiful to look at. 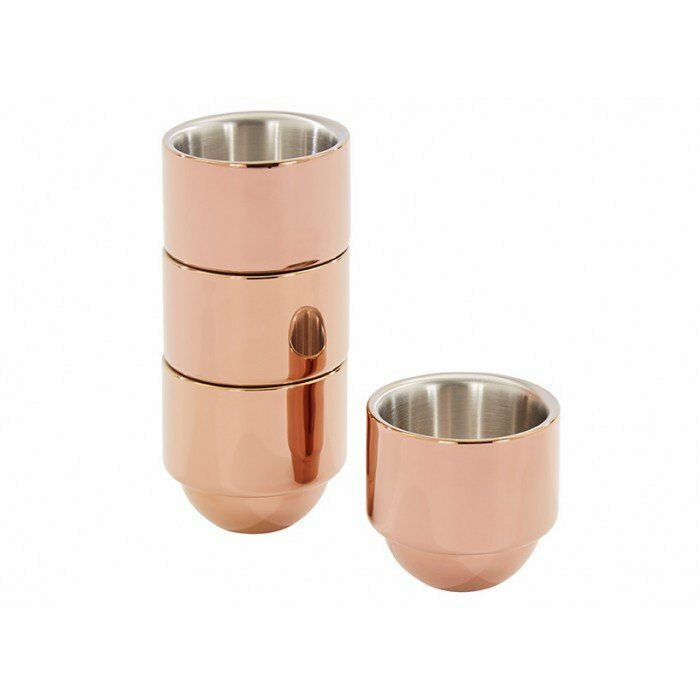 Each comprises a polished steel interior with a gleaming copper finish ? the perfect cup to start a day or end a meal.